Much gratitude to everyone who has come out to the events so far, and particularly to the organizers and booksellers who put in so much time. Likewise to the interviewers and radio hosts (and audience members) who have added to the conversation in unexpected ways. There are more readings and events to come later this month, and in November and December: the Texas Book Festival, the Miami Book Festival, the Hunger Benefit at University of Minnesota-Minneapolis, and more. And as always: my contact information can be found on the “About” page. I would love to hear from you. Your Face in Mine comes out this week, and I’m happy that already the book has gotten some great attention. And started some arguments—as expected. I’ll be doing a series of readings and events this fall—the list (which will be updated) is at the Events link above. First up is Thursday, August 14th at Book Court in Brooklyn; next week I’ll be reading at Enoch Pratt Library in Baltimore, and after that at Housing Works Bookstore Cafe in downtown Manhattan. I’ll be posting interviews and articles, as well as reviews, on the Press page. Last, if you’ve read the book and have something to say, or a question to ask, please don’t be shy about writing me directly. This is from Beethoven Was One-Sixteenth Black, her last new collection of short stories, published in 2007. In the US we tend to view “political novelists” as writers we read out of a sense of obligation rather than pleasure. But no novelist writes in a—political, historical, ideological—vacuum. You either choose to see the ramifications of the lives you describe, or not. 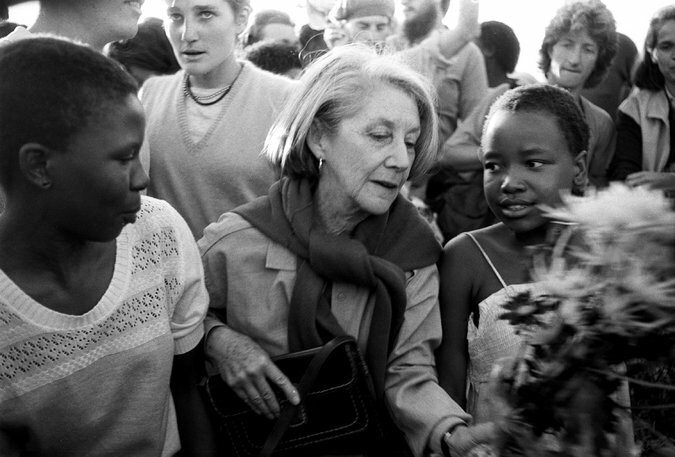 Gordimer chose recognition. More importantly, she used her vocation as a fiction writer as a path toward a liberated consciousness—her own consciousness and, through that window, in a partial, biased, fallible way, the consciousness of all Africans. Her work is beautiful, painful, complicated, at times self-indicting. It’s as vital today as it was at the height of apartheid. Here are four of her books everyone should read. 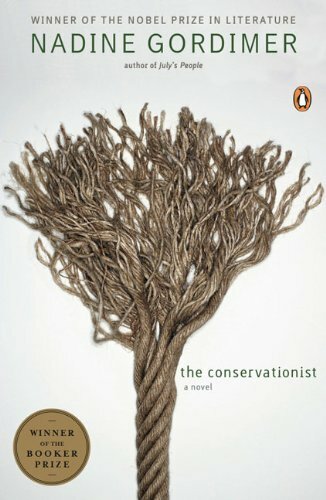 The Conservationist, which won the Booker Prize in 1974. A meditative, absorbing novel about a single wealthy white South African who clings to a failing farm in a remote corner of the country, unable to give up his claim on the land itself, even as it rejects him. The best of her many collections of short stories. I’ve read and re-read this book more than any other book of stories. A textbook in the endless possibilities of the form. 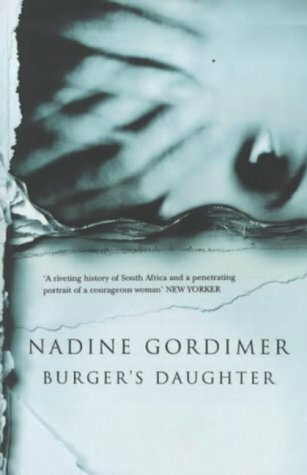 Probably the best of all of her novels, and the last of her books to be banned by the apartheid regime: a portrait of a jailed white South African communist couple through the eyes of their daughter, who is left to enter adulthood entirely alone. 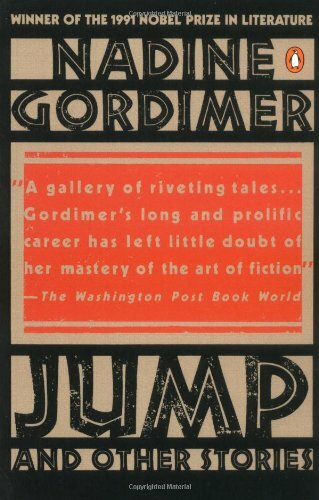 What I love about this book is how rigorous and unsentimental Gordimer’s prose remains throughout—there’s not a single predictable sentence in it. 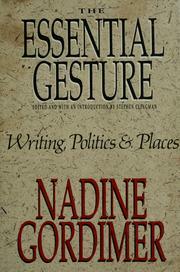 Gordimer published several collections of essays and lectures in later life, but this is the one to start with. It includes all of her political writings throughout the apartheid years and reflections on the art of the novel and the short story—a portrait of a rich and intensely complicated life, and a window onto her own emerging radicalization as an opponent of her own government, and, in many ways, her own culture and upbringing. Imagine you are walking through a dream. But your dream is not just that, not just open. Your dream isn’t just one big gray open scape of mist you can step into, you can walk anywhere through, stick a hand or arm or leg into and just wiggle anywhere, no. There are obstructions, even here. This is a dream with obstructions. Fall 2013: the first cold nights are upon us…Occupy just celebrated its second anniversary…New York seems poised to elect a progressive mayor for the first time in a generation or two…and I’m busy with the finishing touches on my novel, Your Face in Mine, to be released in summer 2014. Early next year I’ll have more information about the book and what I’ll be doing to celebrate its arrival. I’m not a musician. At first glance, then, it seems a little odd that I’ve taken so much time to write a lengthy response to David Lowery’s letter to Emily White about filesharing and the effect it’s had on the music industry. I take a position on filesharing and the free exchange of copyrighted works that surprises many people I meet. Because I’m a writer, they assume that I oppose all forms of unauthorized copying and distribution, that I resent anyone who wants to “steal” my work, and that I’m afraid that filesharing will ruin publishing—as it ruined the music industry. They get a little annoyed, and indignant, when I tell them that I think our copyright laws are fundamentally flawed, that universal access matters more to me than copyright protection, and that selling used books is just as much of a copyright violation as exchanging copies of an e-book online. I also tell them that as far as I can see filesharing and the Internet hasn’t ruined the music industry at all. It’s radically changed the economic model of how the business works, taken a great deal of power out of the hands of the major labels, made distribution easier but publicity more complicated—yes, all those things, but it hasn’t reduced the number of performers or stifled the dizzying growth of new genres and subgenres, and it certainly hasn’t decreased any young musician’s desire to get into the business. Quite the contrary. (Just look at The Voice). David Lowery, on the other hand, attests very strongly to the human cost (or what he believes to be the human cost) of filesharing on independent musicians, going so far as to implicate people like Emily White in the tragic deaths of two of his friends, Vic Chesnutt and Sparklehorse. His argument comes perilously close to a kind of Paradise Lost rhetoric, a nostalgic paean to a time when fair was fair and…you get the idea. He also offers what I think is a very conservative, and reductive, account of why copyright matters to musicians and other artists. For all these reasons, I think his work deserves a detailed (and, I hope, respectful) response. Marcus Boon’s In Praise of Copying, published in 2010 by Harvard University Press, is an important (and unfortunately little-discussed) book that offers both a broad critique of current copyright laws and practices and a specific deconstruction of a number of copyright controversies, including the battle over “fair use” of texts in academic teaching, a subject very close to my heart. (In keeping with his philosophy of free access, the entire book can be downloaded as a pdf at the link above). Boon doesn’t spend much time talking about filesharing, but his larger argument is one I mostly agree with: copying, he says, is not simply the theft or misappropriation of material (“intellectual property”) belonging to someone else. It’s a widespread, almost unavoidable act, done for all kinds of reasons—scholarship, archival preservation, reinterpretation, critique, pastiche, entrepreneurship, and so on. In Boon’s view, our cultural obsession with assertions of intellectual or artistic ownership is largely a legacy of our Platonic heritage—that is, a preoccupation with notions of original, single, perfected, static forms—merged into a post-Enlightenment veneration of individual genius. You don’t have to look very far (in time or space) to find views of originality and intellectual property very different from our own. In other words, there’s nothing “natural” or “obvious” or “commonsensical” about our current copyright regime. In fact, our copyright laws are so draconian, and out of sync with our needs and daily experience, that nearly everyone (knowingly or not) has been violating them, in one way or another, for years. Let me put this into very practical and direct terms. I became an avid music fan in the late 1980s, a time when cassette players and blank tapes were ubiquitous. I spent just about every penny I had on music, but still, more than half of the recordings I owned were taped from someone else. Why? Because I couldn’t afford to buy all the music I wanted; because I couldn’t get to the record store as often as I liked; because everyone I knew used tapes to introduce their friends to new bands. As I got older and started buying CDs—before blank CDs existed—I once again found that I couldn’t afford to buy all the music I wanted, so I started buying, almost exclusively, used CDs. A little later, once iTunes and CD burners came into being, my friends and I started trading mix CDs and copied CDs just as we used tapes a decade earlier. I would estimate that less than half of the music I’ve owned in my life was acquired in a way that benefited the copyright owners—but before the late 1990s, when Napster came into existence, none of this behavior was considered illegal. Of course technically it was illegal (except for buying used CDs), but no one I knew ever worried about the kinds of things filesharers have worried about for the last fifteen years: life-destroying lawsuits, threats of prison time, public humiliation, years of legal purgatory. It would be fatuous to say that there’s no difference between making a cassette tape for a friend and sharing thousands of albums with strangers via a P2P network. Of course there is—but it’s a difference of scale, not substance. In either case, according to a strict interpretation of copyright law, a potential purchase has been avoided, the copyright holder has been denied his or her legal revenue, and a crime (a theft) has been committed. Or, in my view, not. Because I simply can’t accept that what I was doing for all those years was criminal. If I had to come with a term for it, I would say that the culture of copying was (and is) part of an alternate economy, based on communist rather than free market principles—the kind of local communist economy that David Graeber, in Debt, describes as a omnipresent feature of all capitalist societies. You might also very loosely call it a “gift economy,” a way of creating a sense of community and connectedness in an atomized world. It was also, in the case of mixtapes, a sheer expression of Eros, a form of analog romance. Of course, at the same time, there was a lot of cynicism and opportunistic freeloading on the side. Lowery correctly points out that hardware makers and ISPs, among other corporate interests, have fought against DRM and other restrictions on filesharing because it makes them scads of money—just as, in an earlier era, companies like Maxell and TDK, Sony and Aiwa and Panasonic, profited on a large scale from the sale of blank tapes and dual-deck boom boxes. Nothing has changed but the scale. Of course scale matters—no one would dispute the fact that music distribution on the Internet, illegal and legal, has transformed the industry on every level. But that doesn’t change my fundamental view that there’s nothing inherently wrong with making copies of media and giving them away in a spirit of friendship and generosity. Lowery’s response to Emily White treats the question of filesharing and payment for music as a conflict between two constituencies: fans or consumers of music, who ideally would like to have access to all the music they want for free, and musicians, who need to get paid for the music they produce to survive. But there’s a third constituency that needs to be acknowledged in this debate: the public as a whole, which has an interest in accessing music (as well as literature, art, dance, performance—anything produced or published or created in the realm of art) and preserving it for future generations. Part of the reason copyright law exists is to safeguard all forms of cultural production so that the public can enjoy them and scholars can study them—now, or two hundred years from now. I would never advocate a “Free Culture” (Lowery’s term) in which, to quote Boon, “anything can belong to anyone, and nothing can belong to anyone.” But the truth is that in the late capitalist culture we inhabit very little is available for free or made universally accessible to the public. Privatization is a creeping threat that affects so many areas of our public or civic life—politics, education, infrastructure, prisons, our natural environment. The vast extensions of intellectual property law we see today—into software code, genetics, biological properties, primary research—are part of an effort to “monetize” formerly common resources. This includes efforts by the movie and music industries to extend copyright protections into absurdly long intervals—effectively preventing tens of thousands of books, movies, and other media from ever entering the public domain. (See the Sonny Bono Copyright Act). There’s also the simple fact that systems of authorized distribution don’t reach all the places we would like them to. (This is the case not just in music and book publishing but in much more vital fields, like pharmaceuticals—which is why a similar debate over “intellectual property” rages between Western drug companies and the manufacturers of generic copies of their drugs in India and elsewhere). A moving example of this paradox can be found in Daniel Alarcón’s essay “Life Among the Pirates,” in which he writes about meeting Peruvian prison inmates who have all read his book—in pirated form. In Peru, as in many developing countries, there are no retail bookstores outside major cities, and the prices of books (most of which are imported) are out of reach of the majority of consumers. Since there are very few public libraries, the only way for most Peruvians to get books is by buying pirated copies. Given this context, is it any wonder that books are pirated? You can lament the informality of it, you can call it stealing, you can bemoan the losses incurred by the publishing industry – but if you love to read, it’s difficult to deny the hopeful logic: if someone is selling books, someone must be buying them. And if someone’s buying them, someone must be reading them. And reading, especially in a country as poor as Peru – isn’t that a good thing? But piracy, as he observes in the rest of the essay, presents its own host of problems. The solution to this problem isn’t to encourage profiteering through counterfit goods; it’s to advocate for public access to media of all kinds, through libraries, open educational institutions, and increased global access to the Internet. How do we measure the effects of filesharing on the music industry? Who is really to blame for the changes in the music industry? Of course, the core of Lowery’s argument is not a statistical one, but an ethical and philosophical one: he believes that irresponsible and selfish (or confused and ignorant) music consumers, abetted by the “Free Culture Movement,” have done real, concrete harm to himself and other musicians by exchanging music illegally instead of buying it. But the statistics are the only way he can demonstrate an actual connection between filesharing and the human cost of the music industry’s transformation since the 1990s. As far as I can tell, that connection is much more tenuous than he thinks. Perhaps the most surprising part of his argument, to me, is that he seems to want to shift all the blame for the changes in the music industry to consumers and technology companies, particularly Google and Apple, rather than blaming the industry itself, when it’s been widely accepted (even by record companies themselves) that by pursuing a punitive anti-piracy policy, using DRM software, and resisting making their content available online in legitimate ways, they made the situation much worse than it could have been. Lowery’s disinclination to blame the industry itself extends to a kind of blanket defense of record companies and their practices. “There have been some highly publicized abuses by record labels,” he says, “but most record contracts specify royalties and advances to artists.” Of course it’s true that record labels pay their artists something, but this ignores all the systematic, and well-documented, injustices and inequities within the music industry—which are most egregegious, and most systematic, in the treatment of artists of color. It’s true, of course, that filesharing is not justified simply by saying that the music industry, pre-fileshraring, was corrupt and unjust—that’s a cop-out, not a sustainable argument. It’s also hard to defend an industry’s right to exclusive control over decades of recorded music when the creators of the music often don’t benefit from it, or don’t benefit enough. In any case, what we know now is that the industry has decisively changed—major labels control less and less of the market, many artists manage their own music production and releasing, revenue streams have shifted to live music, touring, merchandise, TV commercials, and so on. Most musicians, especially younger musicians, have accepted that they’re not going to be able to support themselves exclusively by selling recorded music—and more and more music is available legitimately online for free, as downloads from artist-driven websites like BandCamp, from YouTube and Vimeo, or from ad-based/subscription-based streaming services like Pandora and Spotify. The antagonistic narrative Lowery presents—victimized musicians, brainwashed fans, all-powerful media conglomerates—simply doesn’t describe the landscape of the music industry today. What is fair compensation for musicians, writers, and other artists? One point worth making about this issue is so obvious that it’s easy to ignore: much of the problem with being an independent artist in the United States is that (certain states aside) we have no meaningful safety net—no health insurance, no subsidies for childcare, very little state support for artists in the form of grants and fellowships. Some freelance musicians and artists in other fields (actors, screenwriters) have access to unions that give them some protection and benefits that act as a kind of substitute for a social safety net, but popular musicians, jazz musicians, literary writers, and visual artists (just to name some categories) don’t have any such protection. Lowery’s arguments notwithstanding, there has never been a good time to be an artist in the US, for the same reason that there’s never been a good time to be any person with an unreliable part-time income. Only very recently have groups like the Freelancer’s Union begun to seek collective protection for these populations of workers. Does this mean that the individual consumer has no obligation to worry about musicians and how they support themselves? Of course not. But we live in a culture that tends to fixate moral responsibility on individuals (“change your lightbulbs to stop global warming”) as a way of ignoring the lack of moral responsibility in corporations, governments, and our society as a whole. Actual fairness in artist compensation has relatively little to do with the choices I make as a consumer and much more to do with the legal and technical arrangements artists make with the companies that distribute their work. The Future of Music Coalition has released a series of “Principles for Artist Compensation in New Business Models” that goes into great detail about how musicians (and, in theory, other artists) can ensure fair compensation in digital distribution. I would also insist that fairness in paying musicians and other artists also has to include some acceptance of the importance of public access and cultural preservation. The best way to do this, obviously, is through an expanded public library system—and increased aid for the development of libraries in under-resourced communities. (Libraries, of course, can and should be a way of distributing music and film as well as books and other printed media). But it also requires a very different understanding of intellectual property and copyright: one that balances the interests of consumers and the public with the needs of “content providers” and the companies that profit from them. What should consumers do, then? Particularly consumers like Emily White—the most dedicated fans, the ones devoted to cataloguing and curating their collections, programming and promoting and spreading the word? Here’s a thought: make a monthly budget for music, based on what you can actually afford to spend, and make sure you spend it. That way whether you’ve bought concert tickets or mp3 downloads, drinks at a music venue or merchandise, you’ll have done your part in supporting the industry at a difficult time. And another thought: don’t take these concepts—copyright, ownership, theft, freedom, obligation, responsibility—for granted. This week a continuing education class I teach in contemporary American short stories at the local community college read your story “The Call of Blood” from the 2011 BASS anthology. We thought it was a very fine story, rich in many ways, and it generated much discussion. A student raised one question that I couldn’t answer, and hesitated to speculate about. The question: why no quotation marks? I’ve read several other of your stories online, and this no-quotes policy seems to be a consistent stylistic choice you’re made. Can you explain why? Is there a thematic connection to your stories? Thanks for posing this question. I’m glad that you “hesitated to speculate” about this issue, because that gives me a window to speculate myself. I’ve been writing fiction without quotation marks for a long time—so long that it’s become entirely natural to me, to the degree that any part of the writing process is natural. I never look at my own work and notice a lack of quotation marks, and I never have any difficulty reading dialogue in my stories because the dialogue is unpunctuated, though I understand other people sometimes do. So it’s about time I returned to this issue and tried to understand it without giving a reflexive answer. But first, to get it out of the way, here is my reflexive answer, the answer I would give if someone cornered me at a cocktail party and I had to sum it all up in thirty seconds. I started writing without quotation marks in 1998, as a result of what I would call a creative nervous breakdown—not one that put me in the hospital, but it was a close call. I was living in Hong Kong and having a very difficult time adjusting to that environment; I was writing a kind of very imitative and self-consciously traditional fiction based on my literary heroes at the time—Andre Dubus, Charles Baxter, Richard Ford, Tobias Wolff, Richard Yates, John Cheever. None of my work had anything to do with my present circumstances. I imagined myself to be a kind of Hemingway-esque expatriate writer, living a bohemian life overseas while my mind inhabited an American landscape (like the landscape of the Nick Adams stories). But I’d reached a dead end writing in the voice of bitter divorced white American men in their forties. I couldn’t summon that language anymore. So I made an abrupt turn—the writer that signaled the way for me, more than anyone else, was Michael Ondaatje, the Ondaatje of In the Skin of a Lion, Coming Through Slaughter, The English Patient. If you look at those books you’ll notice that Ondaatje uses punctuation marks very selectively, and omits them when he’s creating a dreamlike, detached atmosphere. That’s the atmosphere I wanted to create when I wrote my first story set in Hong Kong, called “Revolutions.” At the same time I was reading Peter Matthiessen’s novel Far Tortuga, which takes place among a group of sailors on a small boat in the Caribbean, and which strews lines across the page almost at random, as if the novel itself is so dazzled by the sunlight that it can’t utter more than a few words at a time. I loved that effect, and I wanted to reproduce it in some way. (I was disappointed later to learn that Far Tortuga was kind of a one-off for Matthiessen, and none of his other fiction has ever been nearly as satisfying or interesting for me). That’s the account I usually give, and if asked why I’m still sticking with it, fourteen years later, though I’m no longer writing about Hong Kong, and though my “voice” has changed considerably—well, I don’t really have an answer for that one. I sometimes wonder if I should have gone back to using quotation marks when writing my second book of stories (Nobody Ever Gets Lost) but I haven’t been able to. Certainly it seems to me that the lack of “” works better in some places than others. (I happen to think it works pretty well in “The Call of Blood,” but maybe you’ll correct me). I think the reason I’ve stayed with the non-quotation policy, other than sheer inertia, is that for me it represents a fundamental dividing line between fiction and other kinds of prose. I never omit quotation marks when writing nonfiction, because I think that would be dishonest. Quoting someone in a work of nonfiction, to me, means that this is what they actually said. It’s a way of indicating that this part of the work is not within my control, that I didn’t write it, I recorded it (and selected it and perhaps edited it or excerpted it). Conversely, not using quotation marks in fiction is for me a way of saying that this is not quoted speech, that this is just as much a tissue of fictional creation as any other words in the text. It’s a way of departing from the realist assumption that when we create fictional characters we create “round” or “whole” human beings other than ourselves. In the same sense, it embraces (perhaps more than was originally intended) John Gardner’s argument that fiction should be experienced by the reader as a “vivid and continuous dream.” If we are creating dream-experiences for our readers, that is, the illusion that one is dreaming, then the question of whether fiction should be “real” or “realist” is always beside the point. Omitting quotation marks, then, is a way of marking, or materializing, the dream experience. The writer is in a permanent predicament when it comes to punctuation marks; if one were fully aware while writing, one would sense the impossibility of ever using a mark of punctuation correctly and would give up writing altogether. For the requirements of the rules of punctuation and those of the subjective need for logic and expression are not compatible: in punctuation marks the check the writer draws on language is refused payment. The writer cannot trust in the rules, which are often rigid and crude; nor can he ignore them without indulging in a kind of eccentricity and doing harm to their nature by calling attention to what is inconspicuous—and inconspicuousness is what punctuation lives by. But if, on the other hand, he is serious, he may not sacrifice any part of his aim to a universal, for no writer today can completely identify with anything universal; he does so only at the price of affecting the archaic. The conflict must be endured each time, and one needs either a lot of strength or a lot of stupidity not to lose heart. At best one can advise that punctuation marks be handled the way musicians handle forbidden chord progressions and incorrect voice-leading. With every act of punctuation, like every such musical cadence, one can tell whether there is an intention or whether it is pure sloppiness. To put it more subtly, one can sense the difference between a subjective will that brutally demolishes the rules and a tactful sensitivity that allows the rules to echo in the background even where it suspends them.